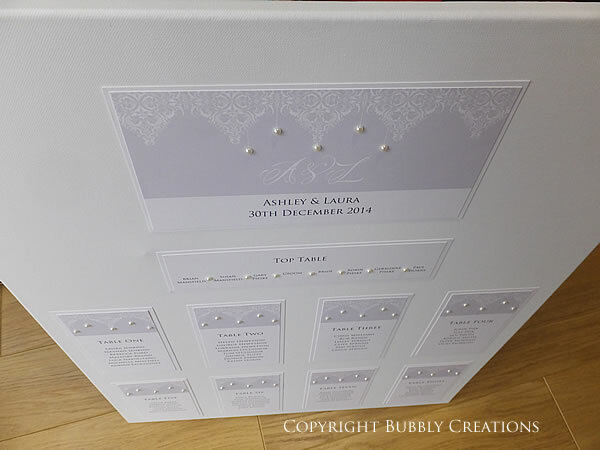 Our Elegance collection has been on our books for around two years and is slightly different to the classic lace and pearl wedding invitations you see on the market. We found a stunning lace pattern with droplets and used it with a coloured background and large individual pearls. At the bottom there is a monogram and the words wedding invitation. 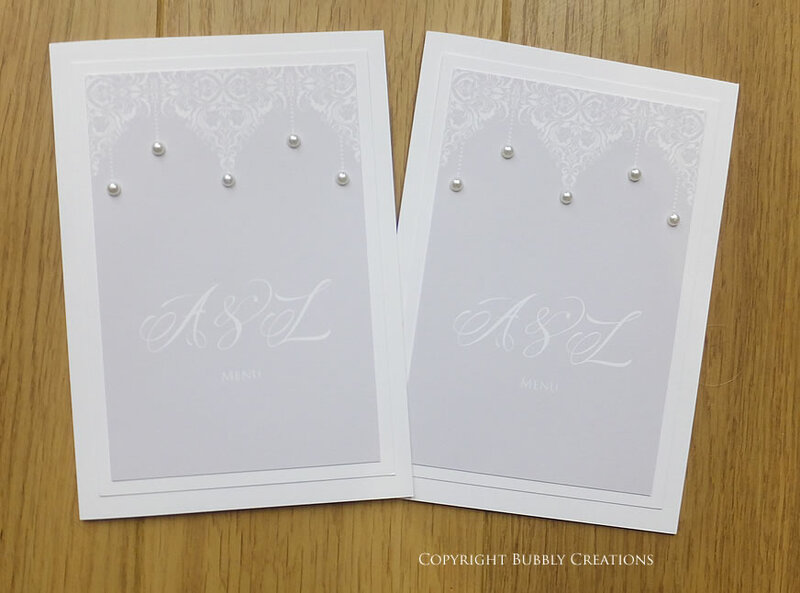 Laura and Ashley contacted us last year about ordering wedding invitations and their on the day stationery in the Elegance design in a soft grey and had loved the samples they had received. They chose to have a pocket style invite in a light grey and asked us to make a table plan with matching menus nearer to their wedding in December last year. 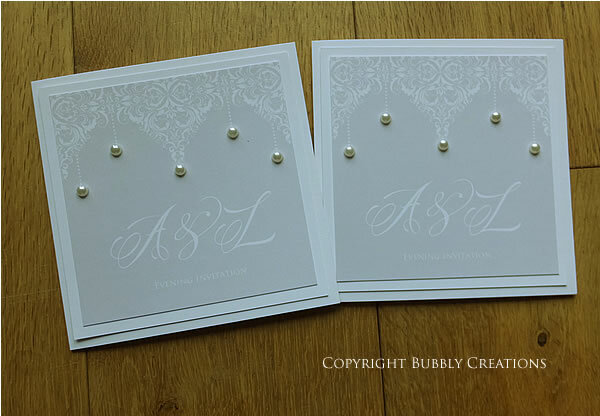 We also completed a matching table plan with menu booklets for Laura and Ashley also in Grey. Our table plans are made on boxed canvas boards in either A2 or A1 and are 1.5cm thick. We have three pricing structures for our table plans based on whether you need a small, large or extra large plan (dependent on the number of tables you have). Our Menu booklets are approximately A5 in size and come with a matching paper insert where you can have up to 3 sides printed.